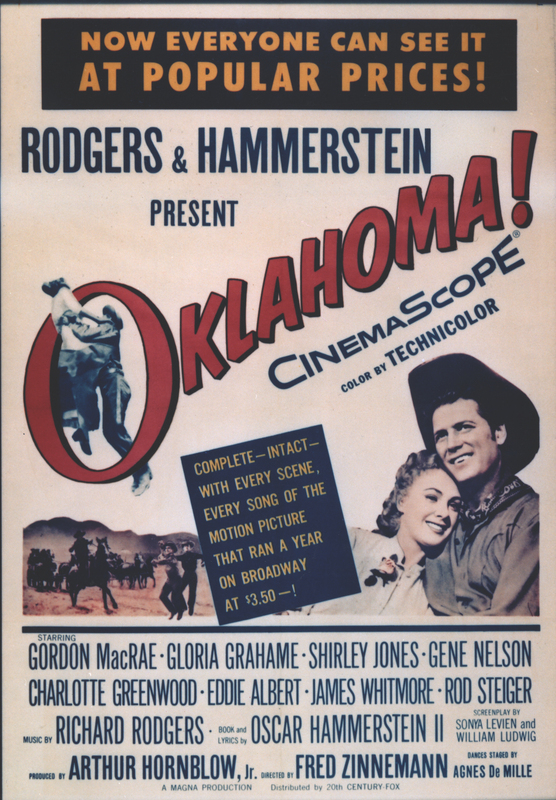 It took more than a decade for Rodgers & Hammerstein's OKLAHOMA! to make it from the Broadway stage to the big screen. But when it did, not only the show, but the screen itself had never been bigger. Initially R&H were in no rush to have the first whopping megahit of their collaboration recreated on film. 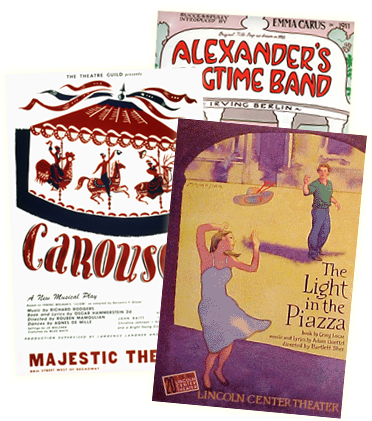 Richard Rodgers, working with Larry Hart, and Oscar Hammerstein, working with (among others) Jerome Kern and Sigmund Romberg, had not found Hollywood's working ways to their satisfaction. Even with the success of STATE FAIR (and it's best song Academy Award for "It Might As Well Be Spring") the two men were in no hurry to turn over artistic control so completely to any of the major motion picture studios. And they could afford to wait. OKLAHOMA! continued to be a smash on stages around the world. And as it did so did the anticipation for the movie it would someday make. Determined to have the film adaptation be every bit as successful as the stage show they decided to produce it themselves, something no Broadway writers had ever done. But OKLAHOMA! was different. 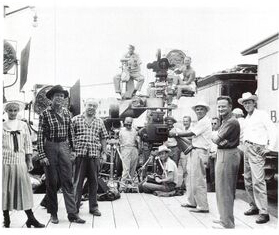 And Rodgers & Hammerstein became involved in every aspect of it's move to the big screen. Big indeed! Mike Todd, a Broadway and Hollywood producer had become involved in the new wide screen process known as Cinerama. When that deal fell through he followed up with his own wide screen process which he then called Todd-AO. Together Todd and Rodgers & Hammerstein and 20th Century Fox felt that the debut of this new technology was perfect for the event that OKLAHOMA! as cinema was certain to be. 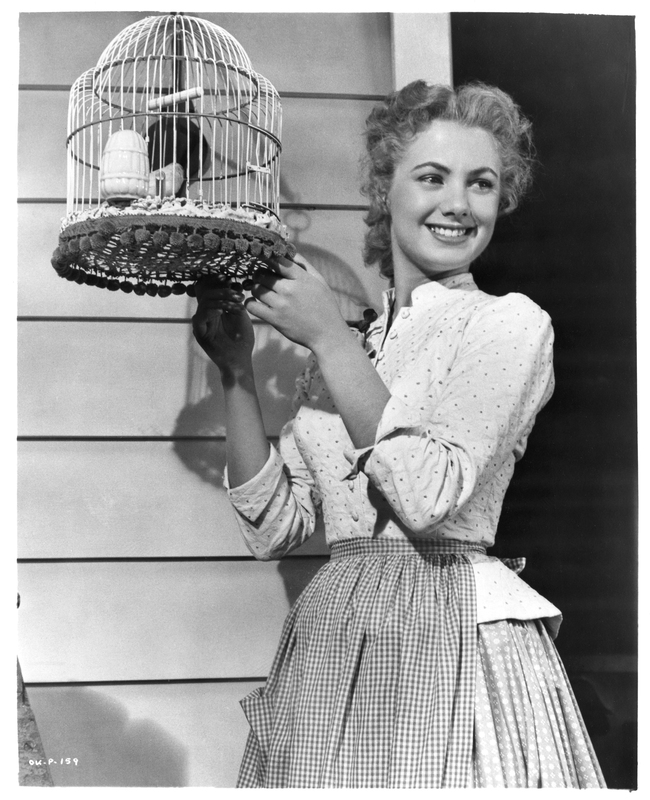 The cast was an extraordinary team of Broadway and Hollywood talent: Gordon MacRae (Curly), Gloria Grahame (Ado Annie), Gene Nelson (Will Parker), Charlotte Greenwood (Aunt Eller) Rod Steiger (Jud Fry) - and one newcomer - Shirley Jones as Laurey. Together they brought new vitality and fine vocal performances to characters who were familiar to the more than ten million people who had already seen the stage show. 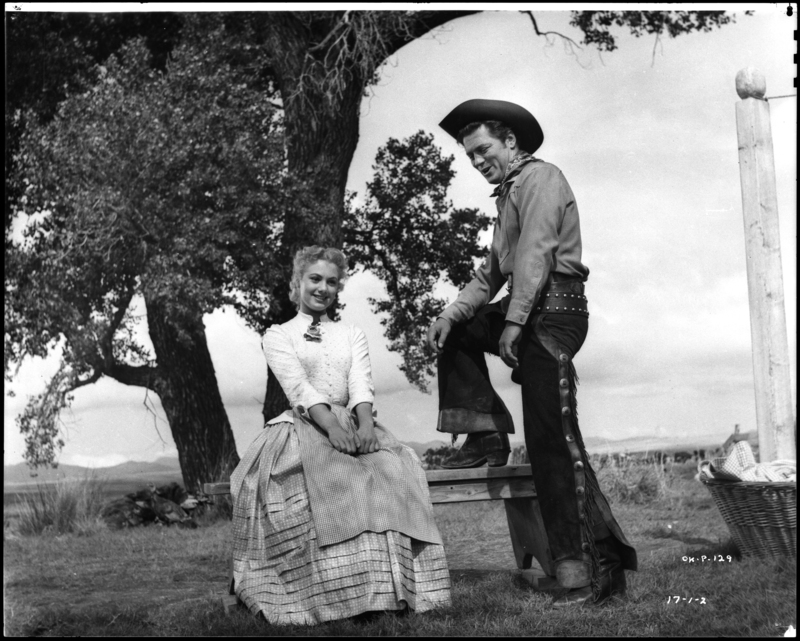 Because Todd-AO was not available in all movie theaters each scene of the film had to be shot twice - once in the new Todd-AO process and once again in standard Cinemascope. Both prints are beautiful and available on video. But nothing matches the power of this big-hearted musical on the big screen. And if OKLAHOMA! as a film did not quite meet the expectations it had cut out for itself, it is certainly one of the truest and most successful adaptations of a Broadway show that had been made up to that point. The movies of SOUTH PACIFIC, THE KING AND I and THE SOUND OF MUSIC were all to follow, but OKLAHOMA! led the way. This November, the Academy Award®-winning Hollywood musical OKLAHOMA! returns to theaters nationwide for the first time in wide release in 60 years fully restored and with an extended pre-show featurette featuring Okie native Kristin Chenoweth singing songs from the classic musical based on the Richard Rodgers and Oscar Hammerstein II stage production. Tickets for the OKLAHOMA! 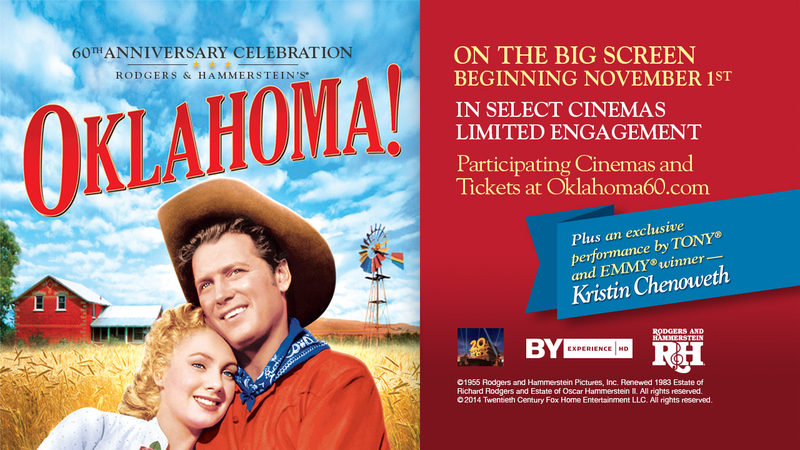 special event are available now at participating theater box offices and online at www.Oklahoma60.com.